The iPhone XR is now available to pre-order, the handset will go on sale next Friday the 26th of October and you can now pre-order the device with UK mobile carrier Vodafone. Vodafone are offering the new iPhone XR on a range of different contracts, you can see some examples of the available contracts below. The new iPhone XR is now available to preorder at Vodafone UK. Customers can pre-order the new Apple smartphone in White, Black, Blue, Coral, Red and Yellow. It is available for £50 per month (£49 upfront cost) on a Red Extra plan, which includes unlimited minutes, unlimited texts and 26GB of data. Alternatively, pay £6 more a month for a massive 100GB of data. 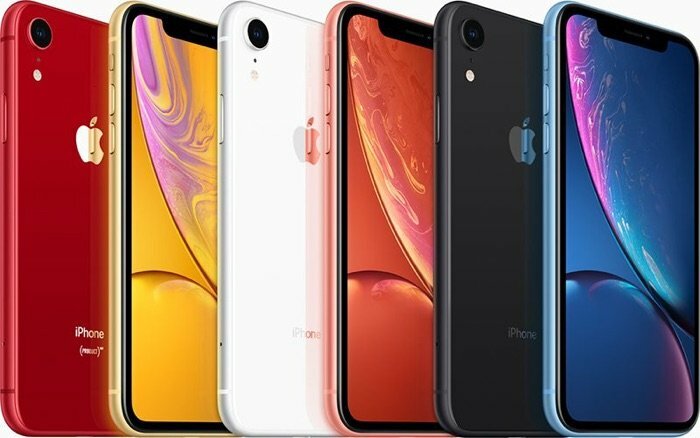 The iPhone XR is available on Vodafone’s Red Entertainment plans, which include a choice of Amazon Prime Video, Spotify Premium, Sky Sports Mobile TV or a NOW TV Entertainment Pass. Pick up the new device on a Red Entertainment 42GB plan and get a choice of content partners, as well as unlimited minutes, unlimited texts and 42GB of data for £57 per month (£49 upfront cost). You can now pre-order the new iPhone XR over at Vodafone at the link below, the handset will go on sale next Friday.